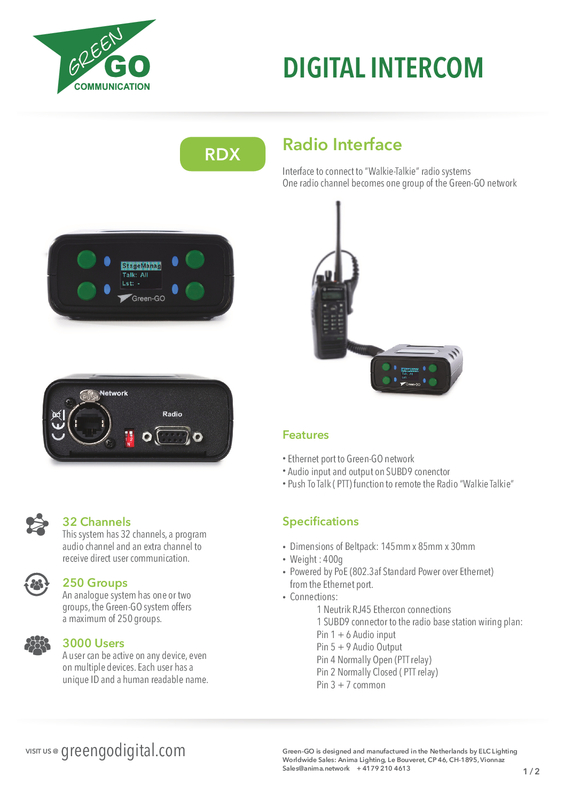 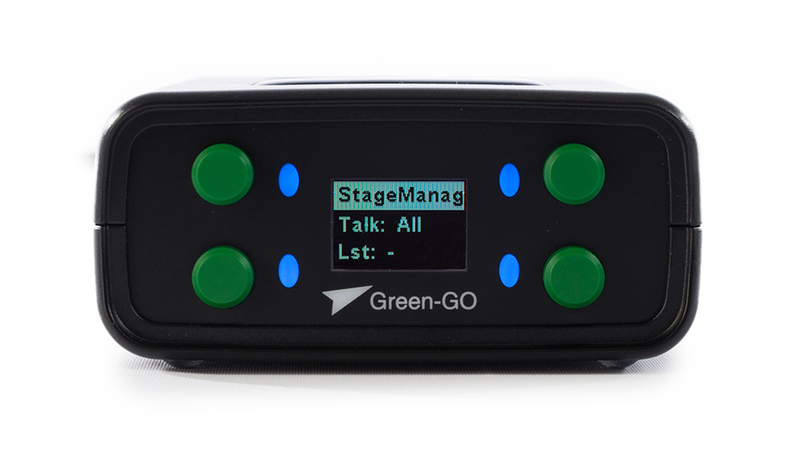 The Green-GO RDX Walkie-Talkie interface makes it possible to integrate a voice radio channel via radio into the Green-GO system with push-to-talk support. 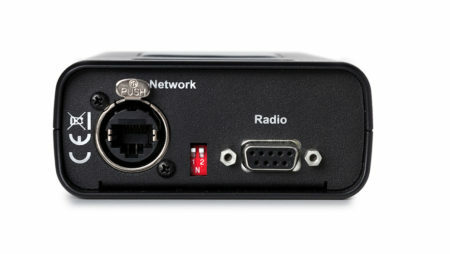 The voice radio channel is connected to the SUB-D9 connector of the Green-GO RDX walkie-talkie interface via the headset (shaver) connector of the radio. The corresponding cable is not included with the device, but must be assembled according to requirements.